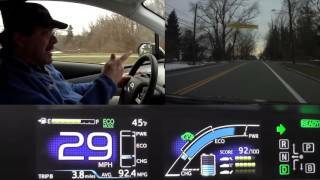 I took my 2016 Prius on a quick drive showing EV mode, mileage driving normally, and overall thoughts. It's funny how you complain/mention 50+MPG, I do the same thing lol, which is nothing compared to my diesels cranking out 12-15 MPG on a good day... around 11MPH with my Power Wagon. Can't say I miss the truck at all. I'm wondering when people realize the costs of operating at truck is like a whole mortgage. 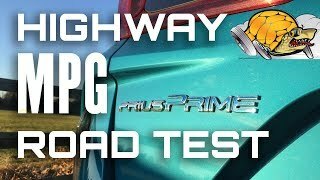 For those that need truck like capabilities, go for a Prius V if you can get away with it. ...it's also worth noting my best MPG on a complete tank of gas is 66MPG. Takes me around a month to go through a tank of gas lol. My trucks (e.g. Power Wagon, 2500 Cummin diesels) I was filling once a week and they weren't cheap to run. Thanks for your video, you know your stuff and really understand how this system works... same here. You did teach me about that hydraulic noise... I always wondered what that was as my Corolla Hybrid does engage electronic parking brakes (which I didn't hear in my Prius C). 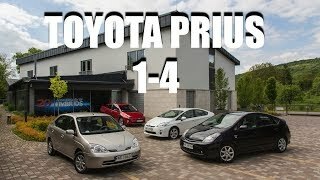 I'd have no problem owning another Prius, just the Corolla looks nicer on the outside IMO and was much cheaper for me at $21,700 out the door with a sticker of $24,300 on a 2020... felt like a steal of a deal. 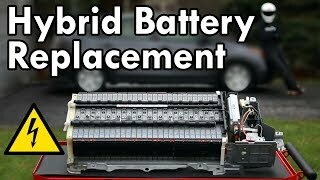 ...maintaining the battery within the level you speak increases the longevity of batteries... to keep them performing optimally over a long life period.... hence why so many Prius owner get 10+ years out of them. Also, I love stop and go traffic and going through drive-throughs or just sitting with the AC running and knowing I'm not chewing the cash out of my wallet. 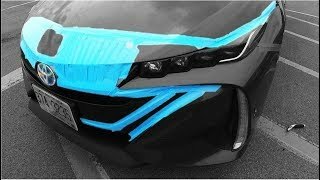 My 2020 Corolla hybrid will go up to 70MPH running EV in just the right conditions as well. My previous hybrid was the Prius C. I can comfortably cruise along up to 50-55MPH on even terrain with mid to half full charge (I live in FL, mostly flat here). The 2020 Corolla runs off the 4th gen Prius platform from my understanding. 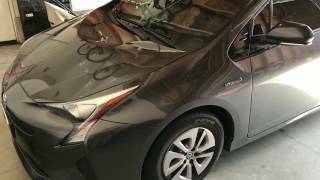 Love Toyota's hybrid platform because I hate automatic transmissions... the planetary gears in the Toyota hybrid platform is an acceptation because they are super smooth and dependable... even at high mileage. 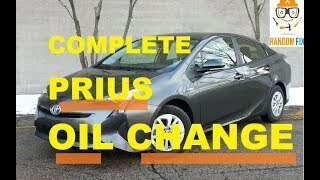 Love this auto trans; I only drove manuals before I got to experience the Prius transmission and learned about how dependable/reliable they were. I've had way too many bad experiences with automatic transmissions. Do you use B-mode when decelerating or it just always stays in D? 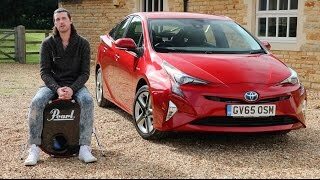 Is this the plug in Prius or hybrid petrol battery only? Since the 1950th Citroen DS, there was not much of a serious design change in personal vehicles until the Toyota Prius was designed with some updates and successfully sold worldwide. After my beloved top of the range 8 cyl. Lexus, I remembered my Citroen DS home in France and purchased a late Toyota Prius. This to polish up my renowned environmental image and to be independent of the petrol prices. I am known to be a rather critical customer. Toyota never let me down. 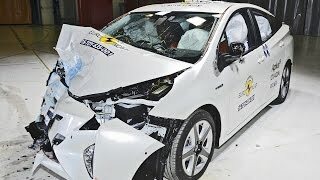 The Prius has it all, an excellent manufacturing company, a superb design, an unsurpassed proven technology, and a great friend of my often deflated wallet. It's a gutsy car and just what I always wanted. Well done Toyota, I can only praise you! 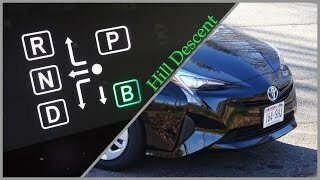 The most brilliant engineering to date in the automotive world dating back to the early 90's, I just bought a 2013 Prius and it very much reminds me of the first day I slid into an airplane cockpit and looked at the instrument panel back in the late 70's. I have so much respect for Toyota and her engineering division, to make the most technological advanced automobile to date that actually has few if any faults as long as the owners will do normal service and preventive maintenance. 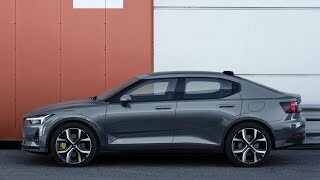 Having been a mechanic for a long percentage of my life and scene the failure of many high end car manufactures that had to rush their new cars to market. I remember well when one of the top three European car makers designed one of their cars that sold for over $100,000.00 that came with 60 computer modules and the engineering department never even did an electrical draw test to find out how many amps the sleep and wake up modes of the computers would last using a single battery they used to power the whole car, in two to three weeks when the car was not driven it would completely drain the battery system and all the 60 computer data would erase, the car manufacture took back the cars with no questions asked when asked to do so by their owners. What do you get on your way back home from work? Have you noticed a decline in gas mileage during the winter time? When do you push the button to switch to “Normal mode” and to ”power Mode” ??? I pretty much drive on eco mode the “blue screen” the whole time and on the highway cruise control. only two fill ups for a round trip between san Diego and san Fransisco, doing PCH and 81 mph on the highways, on a car loaded with 4 people and luggage. I'm sorry if you've already answered this. 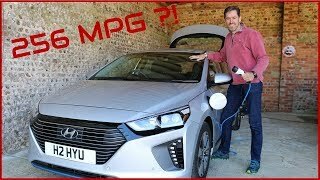 But how far can you go on EV mode only? A few miles at most, in perfect conditions. The reverse beeping can be turned off by the dealer. Had it done to my 2012 V.
Great overview and tips, thanks! Drove from northern Nj to southern Nc with 1 refill. 600 miles, with 1 refill. Traveling that far for only $40? That and I was going 90mph the majority of the time? Nothing beats that. Well except Mustangs for cool points. 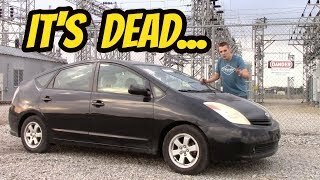 I noticed in your videos that your Prius has a lot of road noise. 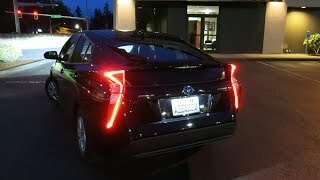 I've watched videos of the Prius Prime and it it seems quieter inside the cabin. Maybe Toyota uses more sound deadening materials in that model. I would prefer the lithium-ion battery they use as well. 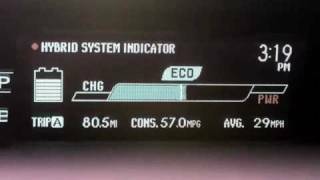 2016 Toyota Prius Hybrid - 88 MPG? Seriously?